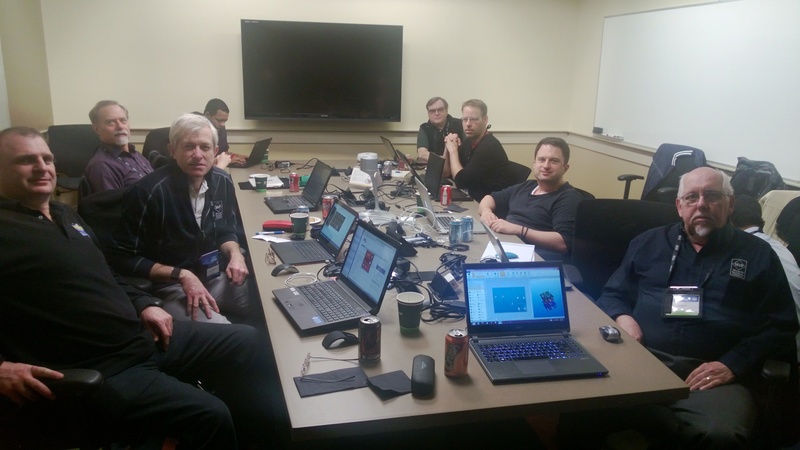 We Visio MVPs have always been closer to the product team than most others … This week has been no exception! Me (UK), Scott Helmers (USA), Michel Laplane (France), John Marshall (Canada), Chris Roth (Germany/US), Senaj Lelic (Germany), Al Edlund (US). New picture with Jimi Hong (S Korea) plus Chris Hopkins and Jennifer Cherwinka from Microsoft. Uhh….. I was late that time.. .
hhh… I was in there… behind of Michel ! !